Prior to yesterday's kick off a number of our Premier Division sides announced signings. Here's a short round up! 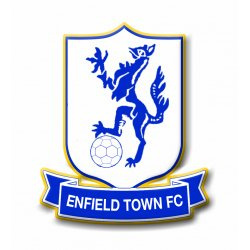 Enfield Town announced the arrival of Maidenhead United midfielder James Mulley. Mulley, who made his debut in yesterday's 3-1 victory over Burgess Hill Town, previously played for the likes of Hayes and Yeading United, Braintree Town, AFC Wimbledon and Hampton & Richmond Borough. Read more on his signing- and two departures, one permanent and one temporary- here. The Towners also announced the departure of defender Remi Sutton to AFC Hornchurch, and whilst the Urchins haven't yet confirmed this on their website it's obviously correct as he played- and picked up a yellow card- in their defeat at Bognor Regis Town yesterday. He had previously made thirty appearances for Enfield this season, the last one in defeat at Bishop's Stortford in midweek. Stortford, meanwhile, confirmed two signings prior to defeat at Leatherhead. Midfielder George Craddock signed on a permanent deal- you may remember him from Merstham, Margate, Heybridge Swifts and Wingate and Finchley- whilst the Jerry Amoo joined on loan from Chelmsford City. Both made their debuts from the bench, but couldn't impact on the result- it must have been rather peculiar for Amoo, as he was on loan at Fetcham Grove up until recently, and previously played there for Kingstonian. Read more here. Finally, Margate's first signing under Jay Saunders arrived on Friday, Dover winger Kadell Daniel coming in on loan. He made his debut in the draw at Tonbridge Angels- and you can read more on his signing here.